Gadsden Trail - Estrella Mtn RP is a 6 mile one way hike with 409 feet accumulated elevation gain. Located 18 miles south-southwest of Glendale Arizona. January and December are the best months to enjoy this hike. 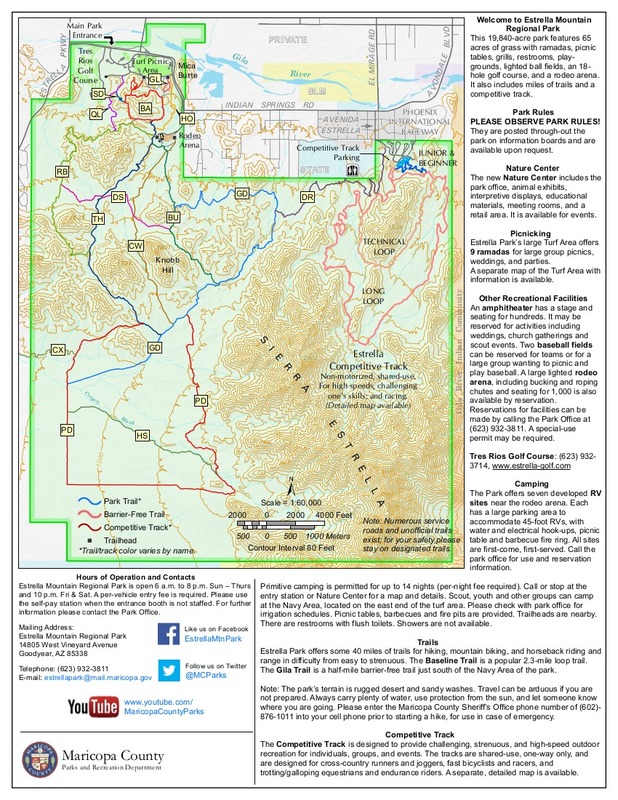 Overview: Trail is located in the Estrella Mountain Regional Park and involves a 1 mile hike into the park to reach the trail head. Trail is comprised of hiking low lying hills and a significant wash towards the backend of the trail. 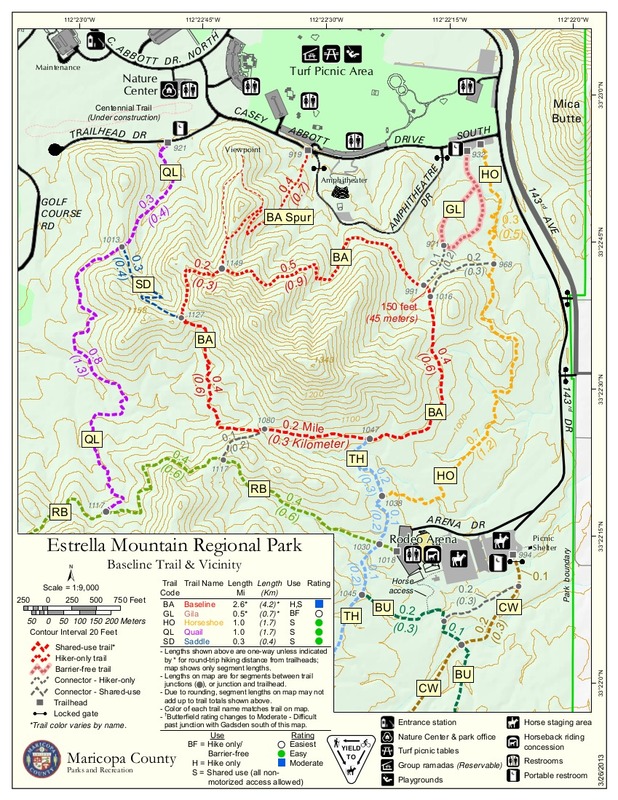 Trail is marked, well established and mapped by the Estrella Mountain Park. From Phoenix head west on I-10. Exit and head South on Estrella Parkway. Turn East on W. Vineyard Ave. The Estrella Mountain Park entrance will be on the south side within the first mile. Upon entering the park follow 143rd DR. to the its culmination. 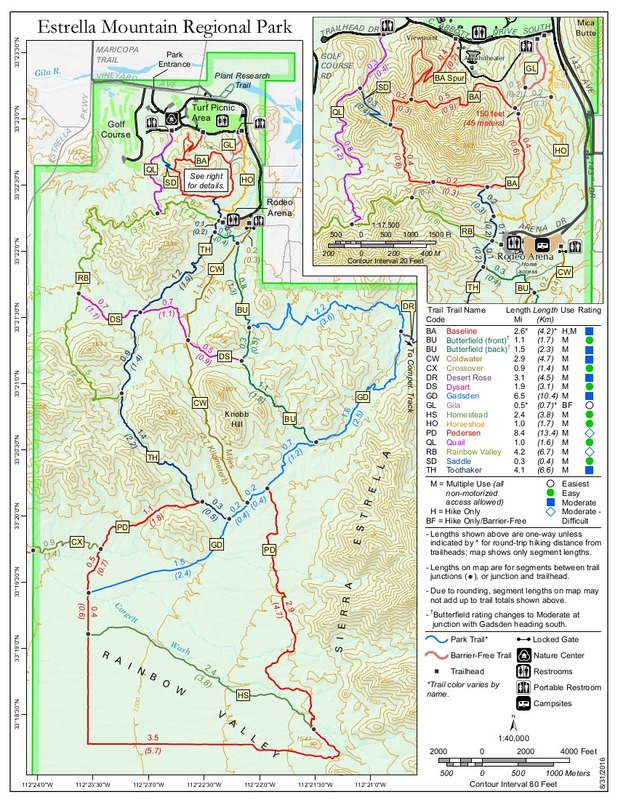 (Maps are available upon entering the park).